As I observe what is going on around me, more and more I see men and woman serving God and taking credit for the things that HE is doing. We as believers are but servants of the most High. As believers in the Lord Christ Jesus we have the unique ability to call upon His name knowing that He will answer our prayers. There are many miracles that God performs in our lives and in the lives of others as a result of these prayers. But many times it makes me sad to say, men and women take credit for the things God has done. God uses you and I as instruments of His mercy, His love, His message, and yes on occasion as His power and might as He works by His Spirit in our lives and through us in the lives of others. But no matter how great the miracle, or how powerful the act of God through any instrument of mankind, we as the vessel can take no credit whatsoever for the things that God does. It doesn’t matter who we are talking about, whether it is you or I, or Elijah, Moses, David, or even Peter or Paul, no one can take credit for what God is doing, has done, or is going to do. Does an ax take over from the one who swings it? Does a saw act more important than the one sawing? As if a shovel did its shoveling by using the one who dug the ditch! As if a hammer used the carpenter to pound nails! Here in Isaiah God uses the pictures of an ax, a saw, a shovel and a hammer to make an observation that is obvious. The instrument should never take credit for what the worker accomplishes with it. When we are operated on the surgeon uses a scalpel, yet the scalpel can’t take credit for what the surgeon does. All the knowledge and the skill belong to the user, not the instrument. It is easy for some instruments of God to become proud. It is all important that we keep our perspective as an instrument. 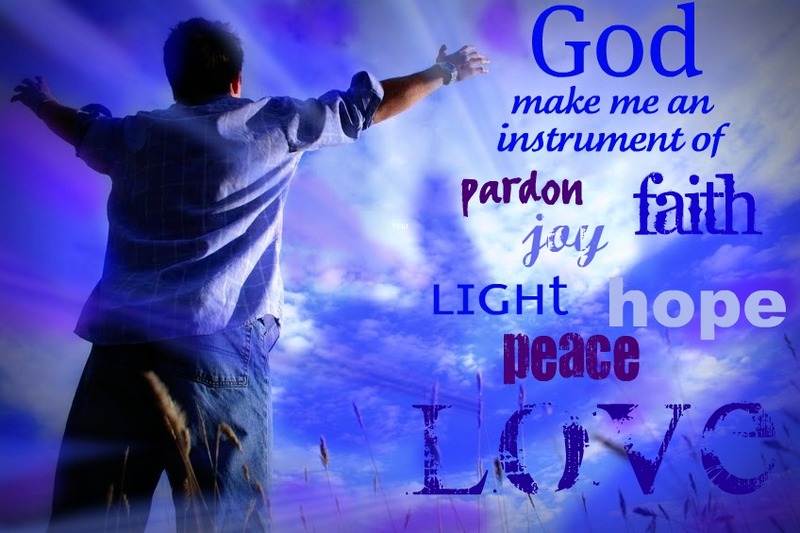 It is wonderful as it is to be an instrument in God’s hand and to be used for His purpose and His glory. We must always keep in mind that the instrument deserves no special glory. An instrument without the hand of the Master is useless and can carry out nothing of itself. Believers and ministries should not ever take one ounce of credit for anything God has accomplished through them as an instrument. The problem that occurs is that many times it is easier to handle failure and meekness than it is riches, strength and great success. When we lack things; when we are poor and impoverished, we are easily able to see and realize our needs, and the necessity for God to work and perform on our behalf. But when great success, riches and sometimes fame comes our way, the prosperity persuades many that they no longer need God’s help, or that they are responsible for their own success. When we are used as an instrument of God let us always be reminded that He alone is the one who accomplishes all things. We are but humble servants and vessels prepared for His service. So if there are great things happening in your life, church or ministry, remember all blessings and success comes from God and God alone. We are never self-sufficient and always need to realize our reliance upon Him. As you encounter success and prosperity, be careful how you handle it before God and man. Enjoy, and rejoice in all that God is doing in your life, enjoy His blessings as He raises you up in your family life, in your business efforts and/or your ministry. Just please be reminded that you are never in charge, He is. Remember as Isaiah pointed out in scripture, we are but mere instruments in His hand to carry out His purposes; and it would be as absurd of us to boast of what we have done, as it would be for the axe to boast when it had been welded with effect. In the axe there is no wisdom, no skill, and no power of itself. The axe may clear the forest but it is not by any skill or power by which it possesses. It is only in the hands of God, and when directed by His unseen arm that we are able to accomplish His designs as He is the Ruler of the universe. And even though we are free as believers in the blood of Christ, we are under the direction of God, and are directed to carry out only His purpose and His designs. We are but instruments in the hands of the Master — all credit, all honor and all glory belongs to Him and Him alone. May we all be just as you have said here. I do want God to receive the credit for anything I do that honors Him and glorifies Him. Lord give me a spirit of humbleness and the ability to stay that way. May I serve You well and faithfully. Amen. they make up for it with bogus words of praise for themselves. Humility is a way of life, often learned in wilderness and not on mountaintops. Watching sermons on television i see what you are writing about Darrell. People taking credit. It is so sad. Your message is like always uplifting and encouraging. Thank you and blessings to you and yours. clearly today’s Christians they owe God a lot. They take glory to themselves instead the One who’s created all of us. I loved your article. You are so right about being an instrument used by God. I am reminded of that scripture that says that all we are and have received is from God, so there is no boasting.1 Corinthians 4 talks about that. Pride will keep you from being used by God. We need to always humbly give our lives to the Lord so He can receive all the honor and glory for what He has done! I am amazed that God can use anybody by His grace. I ,also, love the fact that God looks upon our heart and knows our motive for doing what we do. It is a God bless you.humbling thing to be used by God when you see the way He touches a person’s heart and ministers to them.